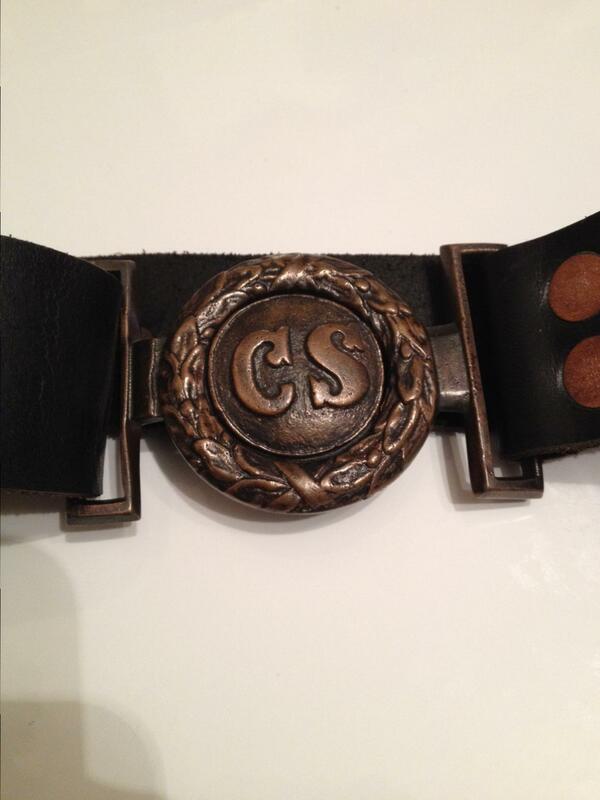 This beautiful 2 piece brass CS buckle is actually a reproduction of an original. A wax impression was made from an original, and this copy was cast from it. Really hard to tell from an original. Superb quality. But still a $30 fake, and not an $2500 original.